Mirwais is a public speaker, a media commentator and an international development consultant with over 12 years of experience in managing international programs. Over the past years, he has managed several major international development programs in Ghana, Sri Lanka, Pakistan and Afghanistan. In 2014, Mirwais was named Vice Chancellor for Institutional Advancement at Kardan University, Afghanistan’s first and leading private university. In this capacity, he oversees the University’s strategic planning process, leadership development, international relations, and public affairs priorities, ensuring significant progress in all those areas. 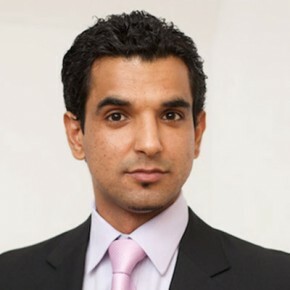 He has led the design and implementation of innovative systems and policies aimed at enhancing the quality of education and student satisfaction..
Mirwais is a graduate of the University of Ottawa specializing in Public Policy and Governance. He is the founder of the Centre for Afghanistan Progress (CAP), an award-winning network of Afghan-Canadian professionals. Mirwais has also appeared as an expert witness on Canada’s engagement in Afghanistan before Canadian and British parliamentary committees. In 2008, he participated in the International Paris Forum on Afghanistan as a delegate of the Canadian civil society. He is a regular media commentator and has contributed advice to several Canadian documentaries, such as Good Morning Kandahar; Portraits of New Canadians; and Between Hope and Fear..
Mirwais is a recipient of City of Ottawa’s Distinguished Civic Award for Humanitarianism, Bank of America’s Spirit Award and Embassy of Afghanistan’s Service Award. In 2008, he was also nominated for the “Most Active Young Afghan” Award of the Inter Afghan Young Professionals. His public engagement and advocacy contributions have been recognized by the Globe and Mail and Radio-Canada. Mirwais analyzed and developed policy recommendations in support of Canada’s role in Afghanistan. His Academic Mentor was Professor Rex Brynen whose principal research interest is peace-building and post-conflict reconstruction. Following completion of the Sauvé Scholars Program, Mirwais worked as CANADEM’s Director of Communications and Deputy Country Director for Afghanistan, leading the Canada-funded Afghanistan Technical Assistance Program (ATAP). During this period, he worked closely with a team of international advisors to design and implement a set of comprehensive reforms across the critical ministries of justice, interior, education, and health.